"You'll never know what's possible until you try the impossible." 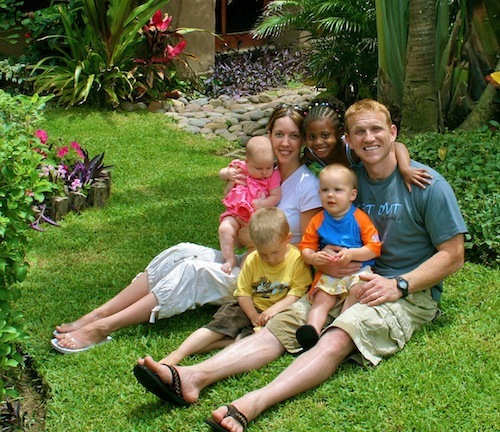 In April of 2007 our family of six embarked on an amazing adventure - a six week road trip from Utah through Mexico, Guatemala, Honduras, Nicaragua, finally to Costa Rica, where we lived for a year. When we started this journey our four children were ages 3 months, 1 year, 3 years and 4 years. It was an ambitious and monumental escapade. We crossed many borders, not just politically, but more importantly, psychologically, emotionally, and socially. It expanded the perimeter of what we previously believed to be impossible. It helped us to realize that the limits to what we could accomplish were only in our head. Click Here to Follow Our Travel Adventures!